The numerous connected reasons that an organization would seek out an email archive migration service are straight forward. Depending on the need of a company the important features necessary will differ. Simplifying the workflow and creating a more efficient process are the main reasons migratory services are sought out. In order to see the desired results of an email migration system, a unified approach will have to occur in order to determine what data will be linked and transferred. 1. Deciding to switch hosting providers because of pricing or features. When a budget is approached strategically, there is always a need to cut costs but not pay the price on the quality of a service. If it’s possible to find a service with a similar offering at a reduced price comparative to the current provider, it’s a no-brainer to consider making the switch. From the opposing side of the table, if an organization’s needs are not being met by a current hosting provider, their search will begin for a process that can handle their needs. When efficiency and time sensitivity are at stake using email archive migration permits a streamlined workflow that is repeatable. 2. Response time should be a factor for larger companies. If a hosting provider cannot provide sufficient servers to handle the email load then delays could occur, which can have a detrimental effect on the services an organization provides. Impeded productivity due to delays can also affect the reputation and turnover rate of an organization. This places greater pressure to have a service provider that is equipped to take on the email loads in an efficient manner. If speed becomes a recurring issue it will prompt the company to seek out email archive migration to a new host. 3.Streamlined communication and ease of use are imperative. With a large amount of employees that need to communicate both internally and externally functionality will have to focus on simplicity. There isn’t time for each person to be trained on how to do basic functions and get full use out of an email service. If a company’s email provider has a complex interface, it could be more efficient to switch providers for increased productivity. It is important for organizations to find ways to save time and boost productivity, especially in circumstances with a large number of employees that need to stay connected. 4. Access to email from a mobile device has become a critical piece of the puzzle. In today’s world, everything has shifted to mobile, including email. The ability for an employee to access a work email address from a mobile device is of high demand. It not only increases productivity but also allows for convenience and keeps employee updated on internal and external communications instantly. Companies will look to mobile access as a mandatory aspect of functionality and the ability to communicate in the business environment. Email migration enables an easy transition to a service provider that can offer all of the features that meet your company’s needs. 5. Integrating two companies after a merger or acquisition. After two companies join forces, a universal email address will ned to be adopted. Using email migration will make this process a quick and easy transition on all accounts. The focus of integrating two companies together should be beyond an email address. That’s why using email migration services are so great. To avoid all of the previous email data being transferred proving to be invaluable in a new environment, pick the right migratory service for success. 6. Transferring client accounts after an employee leaves the company. Your organization’s clients are your main priority as they truly are the heart of your business. When an employee is terminated or move on to another position elsewhere a process needs to be set in place to transfer their clients. The use of email migration as a tool to reassign clients is largely beneficial because the transition of all client materials from one account to another becomes simple. Data migration can be a very tedious and time-consuming process which is why many organizations choose to focus on migratory services. As with any other service, selecting the right company to assist you is a vital step to ensuring data security during a transfer. Additionally, working with a company you trust can ease your mind about the process running smoothly and all of the necessary data getting transferred. Data that is misplaced can have detrimental repercussions. Email migration is a tremendously important service to consider when it comes time to change an email provider within a company. Learn more about TDS's Email Archive Migration Managed Service offering or Akaibu Evolve Software. 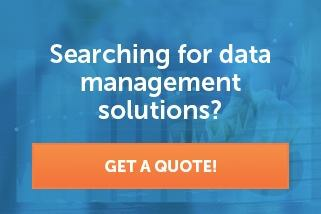 Contact us today for any email archive migration needs!